We recently stumbled on an ODs on Facebook post where members were sharing their favorite business books that have helped shape their optometric practice and create opportunities for growth and leadership development. 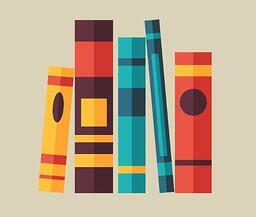 Below is a breakdown of the books your peers are reading for optometric practice growth. In this revised edition of the 150,000-copy bestseller, Michael Gerber debunks the myths around starting a business and shows how common assumptions can become a roadblock to running a business. If you find business books to be boring and hard to get into, then The Goal: A Process of Ongoing Improvement by Eliyahu M. Goldratt and Jeff Cox is a book that will change your perception. This book is written in a fast-paced thriller style and introduces the Theory of Constraints (TOC) as Alex Rogo, a plant manager, fights to save his plant and improve performance. Another business book that is written as a fiction, Fish: A Proven Way to Boost Morale and Improve Results tells the story of a manager who, motivated by Seattle’s fish market, is challenged with transforming an unenthusiastic department into an effective team. Use the lessons in this book to boost morale, improve results, and minimize burnout in your optometric practice. Leaders Eat Last, by Simon Sinek the bestselling author of Start With Why, offers tips and advice to inspire business owners and managers to create environments in which people work effectively by fostering trust and cooperation. In optometry, as with any business, you’re going to come up against competitors. 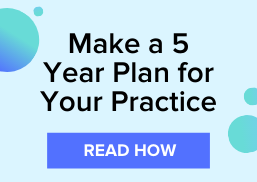 As your competition grows, you need to find a strategy to help get people pick your optometric practice through all of the noise of traditional marketing tactics. Purple Cow, by Seth Godin, helps you transform your business to create something memorable and make your practice stand out. For more optometric practice tips, download the 12 Insider Secrets from America's Top ODs.